Raffa and I are headed to Durango tomorrow because I am co-hosting a baby shower for a dear friend of mine there. And, I thought I would share the invitations I designed for the shower today. 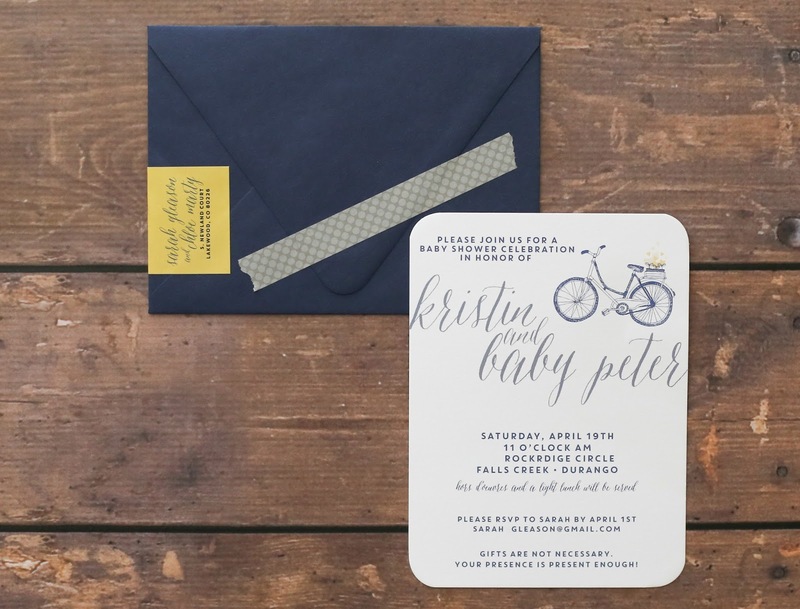 A navy, yellow, and gray bicycle theme is the direction we went with the invitations because that is the theme of baby Peter's nursery. 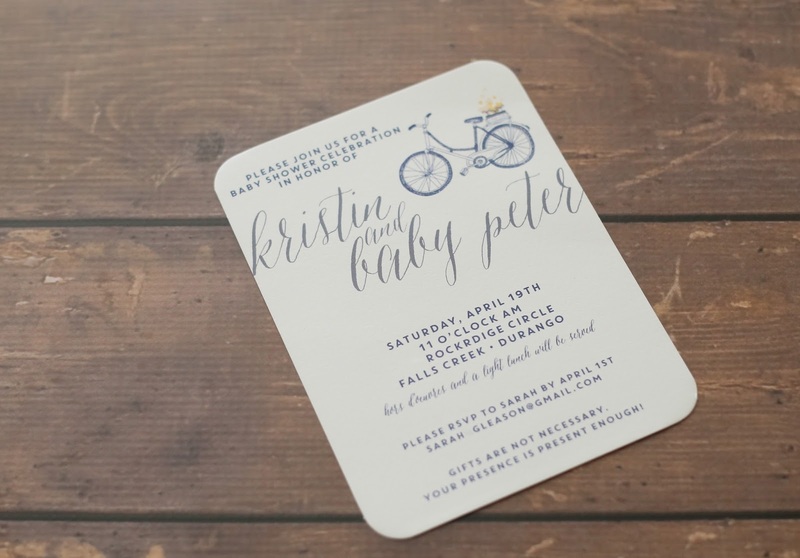 The invitation was a simple design, with a hand script and modern block font, and a whimsical bicycle illustration, which will be carried over to several pieces at the shower (favors, food name plates, etc.). 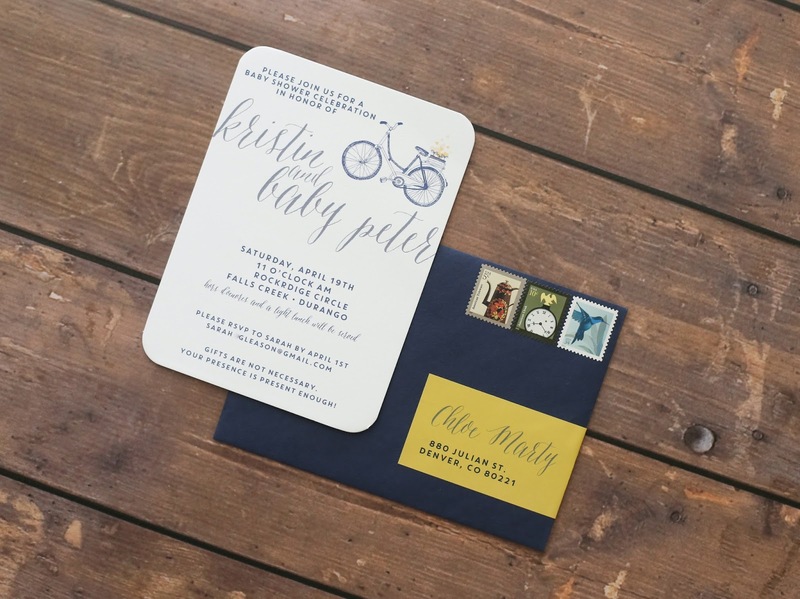 We went with gorgeous navy envelopes and yellow wrap around labels. Gray and white polka dot washi tape sealed the envelopes. For postage, we went with several smaller denominations for a fun look; the guy at the post office looked at me like I was crazy when I told him I wanted to do this. Ha! I am so excited to be going to Durango; we haven't been since January and I am hoping for some lovely spring weather. 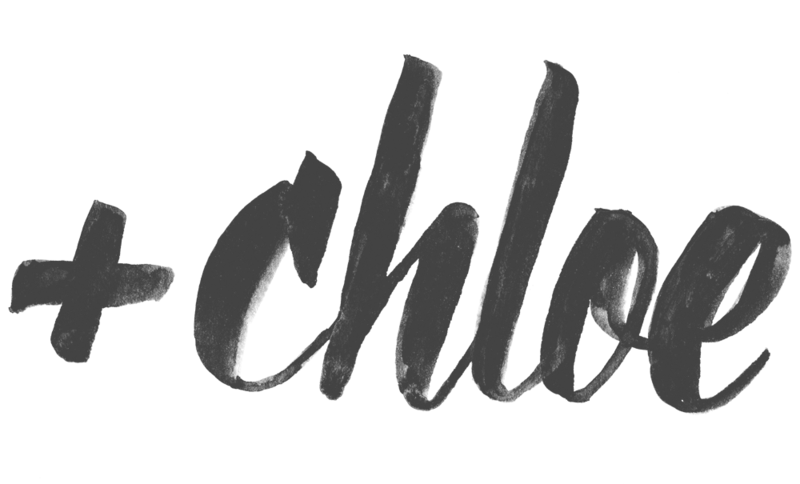 We will certainly catch up with lots of friends, go to some favorite places, and hopefully get out on some hikes. 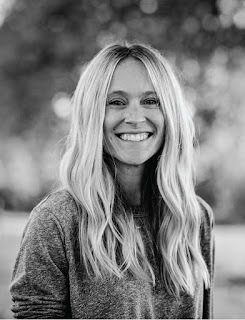 My mom is coming with us, and so the three of us - Raffa, Mimi, and me - will spent Easter today; certainly a bummer not to be with the whole family for Easter, but I am sure we will have a lovely Easter in Durango. By the way, these baby shower invitations are available for purchase and customization in my Etsy shop.